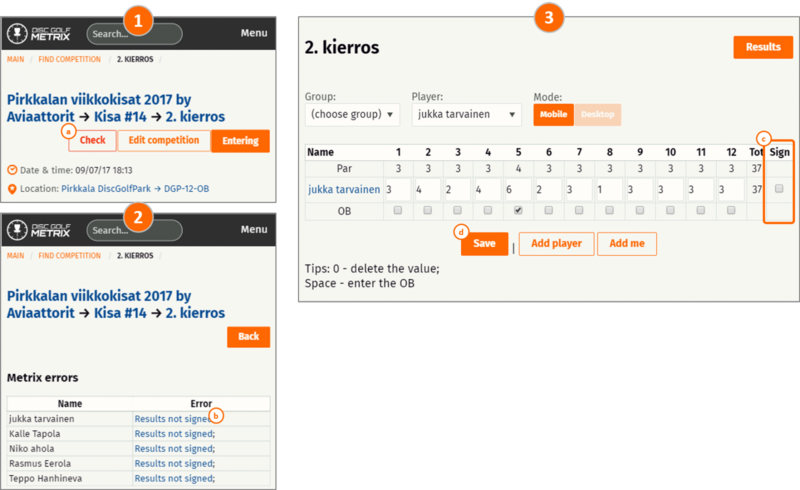 In #Premium competitions, tournament director can request players to sign their scores and the end of the round. Competition administrator has to require signing from competition settings. Players will be requested to sign scores after round results have been entered. 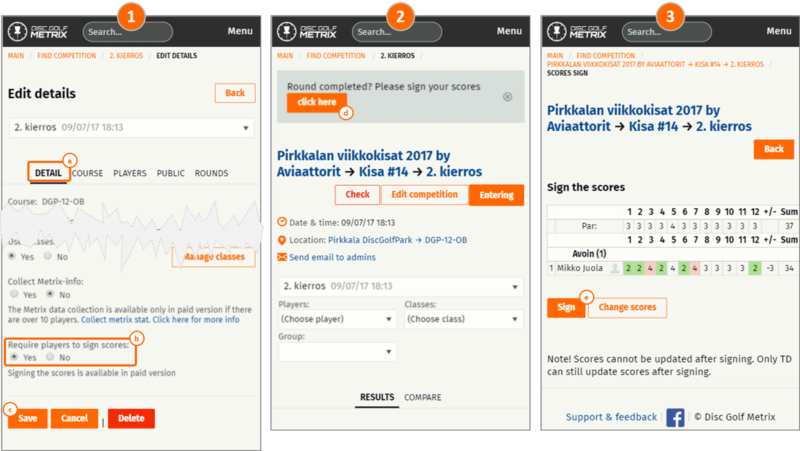 Player can sign of change scores from the review page. After signing, players can not change their own scores. Only competition admins and named officlals can change signed scores. Signing and changes to signed scores will leave a mark with name and timestamp. Click "Check" on top of the competition results. Sign scores on behalf of the player. Tip! Signing scores for multiple players at once is available when editing scores in desktop view.